North of Bandera Pass, the Texas hills soften, then flatten and spread into ranch land, orchards, and towns. Where the former Great Western Cattle Trail intersects Verde Creek Road, a turn to the east brings you to the parking lot of the Camp Verde General Store and Post Office: an establishment with a century and a half of history, an abundance of modern wares, and a significant commitment to retailing. But if you turn west, away from the store, choosing instead to follow the narrow, two-lane road along the cypress-lined banks of Verde Creek itself, you’ll come to the ruins of the general store’s namesake: the original Camp Verde. Established in 1855 as headquarters for Jefferson Davis’s so-called “Great Camel Experiment,” the camp had a short but memorable run as the U.S. Army’s only North American caravansary. Having been convinced of the camel’s potential value for military operations, and having convinced Congress to approve a budget for his venture, Secretary Davis needed only three things to prove the animals’ worth: the camels themselves, a place for them to live, and someone to oversee their introduction to American soldiers. THE CAMELS ARE COMING — The U.S. store ship Supply was at Kingston, Jamaica, on the 15th ult., with the cargo of camels for the U.S. Government. Only one had died on the passage. There are some Arabs along to attend to them. The cargo is to be landed at Indianola, Texas. The “Indianola Bulletin,” of the 12th inst., says workmen are now busy in erecting inclosures for the camels that are now daily expected at that port for service on the Western plains. The building is to be 200 feet long, by 90 feet in width, and the inclosure will cover 10 acres of ground. It is proposed to keep the animals at this place several months, to recruit them. A sketch had been made of an eastern caravansary in Asia Minor, and was reproduced at Camp Verde in every minute particular. It was built in a rectangular shape, except the north wall, which made an angle, the distance from each corner to this angle being 150 feet. This was sixteen feet high and made of concrete and timber, called “pise” work. The timber came from Pensacola, Fla., and it cost the government $125 per thousand to get it here. The south walls were not so high, and in front was an open court, in which was a well with the old-style Egyptian sweep. After the abandonment of Camp Verde in 1869, the caravansary was the first of the buildings to fall. Sowell notes that, by 1898, the support timbers had been removed, carried to San Antonio, and sold. Without supports, the walls collapsed into an earthen heap, and slowly began eroding away. Thomas Blair, aged 44 years, unmarried, a citizen of Hamilton, Ohio, was burned to death in a fire that detroyed the ranch home of W.H. Bonnell, eight miles west of [Center Point] at 3 o’clock this morning. The origin of the fire is unknown, though the theory is that it started in Blair’s room. The Bonnell family was awakened just in time to escape with their lives… The house was destroyed, and later this morning charred parts of Blair’s body were found in the ruins. Blair had been accustomed for several years to spend his summers at the Bonnell home. The “Washington Star” furnishes the following information in regard to the subject of obtaining these “Ships of the Desert” for purposes of military transportation, etc. 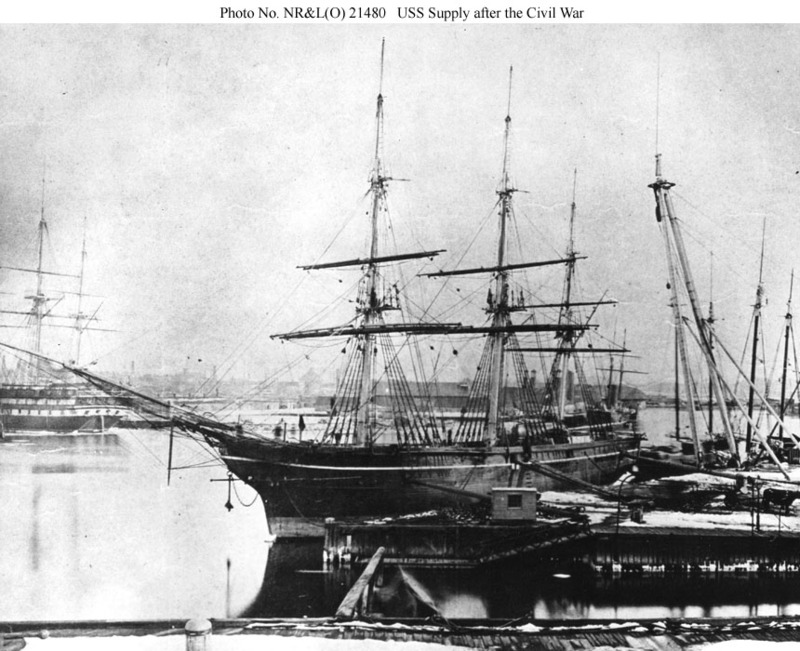 The United States ship Supply, in which they are to be brought hither, is to leave a cargo of stores in the Mediterranean for our squadron stationed there, on her way out. After taking in her turn cargo of camels, she will probably make for Indianola, Texas, and there land them. As he traveled from port to port, Major Wayne was accompanied by Naval Lieutenant David Dixon Porter and Porter’s brother-in-law, illustrator and naturalist Gwinn Harris Heap. Heap had been raised in the Middle East, where his father served as American consul in Tunisia. Heap himself became acting consul to Tunis in 1839, remaining there until 1846. Throughout his writing, his affection for and understanding of camels is clear. Following an expedition undertaken with California Superintendent of Indian Affairs E.F. Beale in 1853, Heap published an account of their travels titled Central Route to the Pacific: From the Valley of the Mississippi to California, including an appendix which catalogued the virtues of camels. In it, Heap highlighted their power to endure hunger and thirst; their strength, speed. and endurance; their longevity; and their docility and willing obedience. Once they’d met the camels, more than a few soldiers, ranchers and cowboys took issue with Heap’s claim of docile obedience, but the animals did well enough on board ship: perhaps because of the attentiveness and ingenuity of those charged with shipping the “ships of the desert” to America. Lieutenant Porter solved, with his customary intelligence, the problem of loading the camels into the ship. He built first a boat 20 feet long and 7 feet wide, flat-bottomed so that it would easily slide up on the beach. He then constructed the “camel car,” very strongly made and bound with iron, with a door at each end, and shaped to fit snugly into the boat. The camel was coaxed into the car, or, if he withstood coaxing and refused to enter, ten sailors with a block and tackle forced him in. The car, mounted on trucks, was then rolled down the beach and into the boat. The car weighed 1,000 pounds and by means of it the animals, averaging in weight 1,400 pounds, but going as high as 2,000 pounds, were loaded into the ship at the rate of one each half hour. Other camel deck regulations clearly put the needs of the animals first. They were to have covers in cold weather, and when it warmed, the ventilating windows were to be opened. Each was to be curried and brushed every day, and their knees oiled once a week. When they lay down, they were to have hay under their knees and haunches, and in a storm, their specially-designed harnesses were to be inspected regularly to prevent chafing. It was an interesting voyage home. The staunch little sailing craft met the most tremendous gales in the Mediterranean and was buffeted by unusually heavy weather during most of her trip across the Atlantic. It was often necessary, in order that they might not be injured by the tossing of the sea during the more violent storms, to tie the camels down in the position they assume when kneeling to receive their burdens, which posture they held for days at a time, eating and drinking much as usual and suffering no harm beyond a temporary stiffening of the joints. Towards evening, the dreary mud banks of the mouth came in view, the land all the time sinking lower and lower. The camels were on board the United States store ship Supply, by the side of which we were soon fastened, and ready to receive the animals. It being late, we did not transfer any of them that day. We went aboard the ship Supply, however, impelled by curiosity, to see the wonderful beasts. They were lodged below, well sheltered from the bad weather, and had three Arabs and two Turks to attend to their wants. The next day the camels were installed on their new home; but not without some difficulty, for their natural timidity rendered them difficult to manage. The animals being all safely on board, and everything in perfect order, we bade adieu to the ship Supply. Both fired a salute, and our ponderous wheels striking the waters soon bore us out into the open seas, in full speed for Matagorda Bay. We arrived at the bay of Matagorda on Monday evening, May 12. The next morning the animals were taken ashore, and at last regained their liberty. SIR: I have the honor to report my arrival here with “the camels.” The animals were safely landed, all, by 11:30 a.m., at Powder Horn. They are in good condition, considering their long confinement on shipboard, the tossing upon the sea that they have been subjected to, and with the exception of a few boils and swelled legs, are apparently in health. Saddling them as soon as it could be done, they were gently led to this place, arranged in the stable put up for them by Captain Van Bokkelen, and secured. A second trip in 1856 procured 41 additional camels, bringing the total number at Camp Verde (after births and deaths) to 70 animals. Additional camel handlers arrived as well. Major Wayne’s bold prediction that “Americans will be able to manage camels not only as well, but better than Arabs, as they will do it with more humanity and with far greater intelligence,” had been somewhat off the mark. The men who arrived with the first shipment of camels — Yiorgos Caralambo (Greek George), Hadji Ali (Hi Jolly), Mimico Teodora (Mico), Hadjiatis Yannaco (Long Tom), Anastasio Coralli (Short Tom), Michelo Georgios, Yanni Illato and Giorgios Costi — clearly knew camels in a way impossible for most American soldiers. Together with the new handlers, they helped ensure the camels’ success over the next ten years, as they hauled supplies between Camp Verde and Army headquarters in San Antonio, and were tested in treks across the great American desert. For Part I of the story, with details about the Camp Verde Store and Post Office, please click here. Fascinating history!! You might find this similar, short experiment interesting up my way..
Oh, this is wonderful, SwittersB — especially your mention of Beale in your post. I couldn’t include everything here, of course. But Beale and Heap not only made that trip in 1853, they teamed up after the camels arrived at Camp Verde to take the southern route to California. The journey from Arizona to California was only one leg of a journey that actually started at Camp Verde. Here’s a link to a map that shows the whole route. I’m not clear on how many Camp Verde camels made it to the West coast — I’m still working on that. But it is true that their introduction at Camp Verde contributed to more camels purchased, and more experimentation. So many details, so little time. I could go on, but I don’t want to spill all the good stories here and not have a part 3! Thanks so much for stopping by, and for the link. Thanks, I enjoyed your account of the camels in Texas. Hi, Myra! I’m so glad you enjoyed it. I hardly can believe I didn’t know about the camels when I was at Indianola last Christmas. Well, now I know. Have your read Chris Emmett’s “Texas Camel Tales”? Here’s another coincidence. it was published originally by Naylor, in San Antonio — the same press that published Nora Sweetland’s work. Copano Bay Press has brought it back into print. I’m sure you know their work, but if not, you can find it here. This is a really fascinating history. It’s a shame they didn’t take off in America, but I imagine that the sheer variety of terrain in America makes horses more viable. It’s true, Alex, that the terrain could be a problem. The camels’ split hooves meant that rocks often got between their toes. Some people tried wrapping them in burlap, which helped, but it also made them less sure-footed. Another problem was that mules and horses truly hated the camels. If a camel was around, the other animals often would spook and create havoc. That left cowboys none too pleased, and things often went from bad to worse. The beginning of the Civil War contributed, too. Once Jeff Davis was President of the Confederacy, the U.S. Congress wasn’t too keen on supporting his grand experiment. I live in Japan, and they tie straw shoes to the hooves of bulls for festivals. It looks painful for the bull, but I guess, given the amount of rocks they have to walk over, the bulls probably prefer the sandal! That’s really interesting — as is the fact that the same “technologies” pop up in vastly different cultures. Thanks! Fascinating, Linda! I’ve read some about the camel experiment before and wish I could have been there to participate in it. Not too surprising that the American cowboy heritage didn’t take to the camels very well. I was surprised to find that camels were used so far north and west, even in the gold camps of western Montana. I came across this interesting article about the Mullen Military Wagon Road. From where I sit, that’s pretty much in your back yard! The Mullen Road did run fairly close through here. I suppose I could go look for camel tracks! I love this story too. Isn’t it fun to think of camels in Texas? It is fun, Melissa, And lots of people think so. That’s why we have chances to take part in events like this. Why, if you wanted to, you even could make a trek into Texas’s Big Bend by camel! Exactly so. I’d never heard the term myself, and had to look it up. I wondered if the pronunciation had changed by Sowell’s time, or if the accent disappeared in the printing process. In any event, the process itself reminded me of the bousillage construction found in Acadiana. While the Acadians used clay and Spanish moss rather than dirt, the principle is the same. And isn’t that first article from the “Richmond Dispatch” a treasure trove? There are two Latin abbreviations (“ult.” and “inst.” for last month and this month), an old spelling (“inclosure”) and a word whose meaning has changed so much it took me forever to figure out what they were talking about (“recruit”). I now see that only when we get to the third definition do we hit the modern meaning. From old documents, however, I was already familiar with ult. and inst., and the alternate spelling inclosure didn’t surprise me. I’m glad to have that link. By the time I finished figuring out “recruit,” I knew I had to find something better for my little collection of writing tools, at least for older words. Maybe even a print dictionary or two wouldn’t hurt. One of the great revelations that’s come with browsing old newspapers is the quality of the writing. Yes, it can tend toward the florid, and factual errors appear just as they do now, but it’s still enjoyable. I did think about explaining “ult.” and “inst.” in a note, but decided — oh, what the heck. I see those little “piso mojado” signs all the time in the grocery stores. Especially in the produce sections, people drop things, don’t pick them up, and eventually it’s time to bring out the mop and get rid of the squashed whatever. Your camel story grows more and more interesting, Linda. It also gives me a smile to realize that over a hundred and fifty years ago, the US was purchasing military supplies ( camels!) from the Middle East. Now the ‘traffic’ goes the other way. Here’s something else that’s been nagging at me, Gallivanta. A century and more ago, people generally seem to have been more interesting, across classes, and across every other sort of boundary we devise. I can’t quite put my finger on it, but it seems to me that, even as we trumpet “diversity” and “equality,” we’re slowly homogenizing and flattening the culture. We’ve traded reality television for reality, sensitivity for significant accomplishment, and group-think for originality. All are poor trades. I thought of such things as I read the biographies of the men involved in this grand experiment. Lieutenant Porter was one of the most interesting. Not only did he become an Admiral, in 1849 he took command of the merchant steamer Panama on a voyage to the Pacific, and, after his return, commanded the privately owned mail steamer Georgia on runs to Havana. And, he landed in your back yard! He was employed in Australia for a time, commanding the Golden Age between Sydney and Melbourne. It was a beautiful ship, and I presume never carried a camel. One never knows. If not a camel then maybe a kangaroo. Yes, we are flattened. Perhaps something to do with our education systems which like to teach to standards and exams. The diversity and originality of people comes through strongly in Eleanor Catton’s The Luminaries. Although I found the conclusion of the story annoying/vexing the cast of characters is fascinating and very true to that time in NZ’s history. Similarly the characters in NZ author Jenny Pattrick’s books are diverse and extraordinary and based on research. The details regarding boarding the camels on the car to the boat are fascinating. I bet it took every bit of 30 minutes give an extra 30 minutes for a spooked or reluctant boarder. I look forward to reading even more as it sounds like they pressed on all the way to California. It’s heartening to read the great care that was taken in transporting them. Such a tragedy our civil war and a sober reminder of the toll war time takes on visionary projects. Too bad the project so carefully planned “in every minute particular” right down to the building of a caravansary waned so quickly. I got a little carried away looking up the term caravansary, caravanserai, khan in Persian. All the photos reminded me so much of southern Spain and reminded me too, of my father’s family’s hacienda outside of Mexico City. I still remember my amazement when a saddled caretaker entered through the great wooden doors into the courtyard once on horseback, another time in the ranch jeep. The caravansary images reveal a huge courtyard. I can hear the clop, clop of hooves on the stones in the expansive area. Georgette, you can’t believe how much time I spent digging into the meaning, variant spellings, and foreign language terms for caravansary. In the end, I excised an entire long paragraph that was fascinating to me, but not necessary to the post. Thanks to you, it’s back in. I did find “khan” used a good bit in the journals and contemporary writings. Other terms turned up, too — like “argol.” It took a few tries, but I finally learned our American equivalent would have been buffalo chips. Argol is dried camel dung, used for fuel. One of the tasks on the USS Supply’s camel deck was to throw the stuff overboard. Your memories are wonderful. I’ve always enjoyed true plazas, and the central courtyard of the caravansary is similar. It must have been thrilling for you to see the horseman make his way through the gates. Your story reminds me of the tradition associated with the sallyport at Rice. Students walk through the archway at matriculation, and, according to tradition, are never to pass through in the other direction until graduation. Not everyone takes it seriously, but a good many do, and they’ll walk around the building rather than pass through the gate in the “wrong” direction. Camp Verde camels did travel to California. Depending on where your daughter and gs are landing, there may be another field trip waiting in their future (and maybe in yours!). Thanks for the wonderful article. I enjoyed it immensely. Thanks so much — I’m really glad you enjoyed it. I didn’t know until quite recently that camels had been introduced to Australia. Now, they have all the problems associated with introduced species. This is a good overview. If you substitute “feral hog” for “camel,” you’ll be up-to-date on one of Texas’s current problems. You know, Linda, this story continues to fascinate me! I find it amazing that our government spent so much time and trouble for what turned out to be a failed experiment (why that should amaze me is a puzzle in itself, ha!) At least the camels were treated kindly — even regally, compared to the boatloads of refugees who sought shelter and freedom from oppressive lands. I’m eager to read “the rest of the story” and hear how the camel-tenders fared in this great land! On the other hand, if you’re engaged in an experiment, there’s no way to know ahead of time whether you’ll have a success or failure on your hands. Clearly, many peoples around the world had made good use of camels, and there was reason to think they could succeed in the Southwest. They just didn’t control for all the variables — like a Civil War, and the fact that horses and mules didn’t like the way the camels smelled. What is true is that, in at least a few cases, it was very much a “til death do us part” relationship. There are wonderful tales ahead. Hi Linda, Lovely to read the continuing story of the Texas camels. Your research is amazing as always. I too was stumped by the word “recruit” until it popped into my head as to what it meant. We see the warning signs on bathroom floors all the time so that was clear. Aren’t those sandals great? They reminded me of something I haven’t thought of in a while: Liberians’ practice of making sandals out of old tire tread. They weren’t exactly soft and supple, but they certainly made it easier to walk down the road. It’s great fun to find examples of how language has changed in these newspapers and journals. Sometimes I can figure it out, and sometimes I’m completely stumped, but that’s all part of the fun. Next up: the camels come to your part of the world. Speaking of your part of the world, I was listening to a new Cajun CD by the Savoy-Doucet band today, and one of the tracks was titled, “The Flames of Hell: or, Stuck in Traffic on the Oakland Bay Bridge.” I laughed and laughed. I tried to find a link for you, but I can’t find it online. Oh….I was really enjoying that, and now I have to wait for the next installment! I shall look forward to it! Reading this makes me realize how small the world has always been and how well traveled people and animals actually are! Good to hear Liverpool got a mention! I must say my personal experience of camels…we won’t go there….is different to Heap’s, they’ll spit at a drop of a hat! Docile….so I was laughing re the soldiers, ranchers and cowboys accounts….I’m sure most took ten sailors to get them on-board, good to hear they were looked after though. Was it P.T. Barnum who said, “Always leave them wanting more”? Whoever it was, I’m glad you’re looking forward to the next chapter in the story. Greek George and Hi Jolly have to have their time in the sun, after all! I suppose travel by ship would seem unbearably slow today. People go on cruises, but that’s a different thing. And yet, during the time of the camel experiment, the people involved were running back and forth to Europe and the Middle East as easily as we go to the market. What they’d think of our air travel is interesting to imagine. I’m sure a few would prefer to stick with the ships. If you ever have a spare hour (which I doubt, but still…) you would enjoy reading through the daily journal entries from the camel deck. Everything is recorded: the way they treated illnesses, how they dealt with camels who went off their feed, and even the delivery of babies. A couple of calves died on the way across, but they ended up in America with one more camel than they started with — and a few more pregnancies, too. How they were breeding camels on that ship I haven’t figured out, but where there’s a will, and so on. I’ve heard mixed reports on camel personalities, too. It’s going to be interesting to sort through some of the other materials I have. I woke up entirely too early to get up, and drifted back to sleep thinking about how recently ship travel was common. My grandparents came to this country by ship around 1900, as did the parents and grandparents of many of my friends. During the World Wars, refugees arrived by ship. When my relatives went back to Europe to visit, in the 1950s, they went by ship. It’s only been since WWII that commercial air travel really gained in popularity. The past may feel long ago, but it certainly isn’t. I’ve enjoyed reading about the camels. The accounts often amused me. We are so used to seeing the successful results of American knowhow and determination. But, this was a case where the prediction didn’t quite hit the mark. I do admire them for trying. Thanks for the entertaining posts, Linda. I do wonder how things would have worked out if camels had been established in Texas. The records make clear that they were happy to live on a diet of prickly pear cactus, creosote bush, mesquite, ocotillo, and other plants that ranchers spend a good bit of time trying to get rid of. Too bad other animals (including some two-legged) had no time for them. The fact that some were turned loose and left to roam for years in the southwestern deserts attests to their ability to survive in new environments, as does the Australian experience. Of course, given the Australian experience with camels in the Outback, maybe it’s just as well that they never got a foothold here. Speaking of American knowhow and determination, I’m sure you’ve seen this, but it’s really quite wonderful to know such a project is taking shape right across the lake from me. I’m glad you’re enjoying the posts. Next up? More history, but more humor, too. Are there any camels still wild in the southwest? I’m glad they are preserving the mission rooms. We don’t want people to forget that we humans were successful at this monumental achievement. I’m hoping I get to see another human exploration of space beyond orbit in my lifetime. Wild camels in the southwest? That depends on who you ask. And, how you feel about ghosts. Wikipedia (holy grail of truth) says the last reported sighting was in TX in 1941. Ghost camels conjures up interesting thoughts. Nice to learn more about the camels in America. Had they become truly popular, I believe they might have had an influence on the ‘American Way of Life’. Beautiful, beautiful story! The care that Major Wayne took transporting them to this country!! Can’t wait to read the rest of the story! Thanks, Susan. It’s quite a tale, and worth the books that have been written about it. One thing leads to another, and the next thing you know, you’ve got camels lolling in the California sunshine, and leading Mardi Gras parades. The camels were nothing if not adaptable! Absolutely FASCINATING! I had utterly no idea… Of course, I was immediately worried for the poor camels, but it truly seems as though they were as well cared for as much as possible, given their dangerous trek! Cruising camels — what’s not to like? There are variations in reports of seasickness, but the fact that they landed with more camels than they started with is pretty good evidence that they were well cared for. Of course, their response to getting back on dry land probably tells the truest tale. There’s no doubt they were happy the have the voyage over. If you liked this, you’ll love the next installment. The true quirkiness is yet to come. In a way, I’m glad that camels didn’t go feral here like they did in Australia, where they are a big problem. They were brought to Australia for the same reason they were brought to America. No two deserts are the same, however, and they did not take to ours. I happened to catch an interview with an A&M expert on feral hogs day before yesterday. Given what it takes to deal with those creatures, we should only be thankful we don’t have camels to content with, too. For one thing, you can trap hogs. I can’t imagine what a camel trap would look like. You’re exactly right about two deserts. What I do wonder is whether a different species might have done better. The ones we usually visualize are the Arabian camels, of course — Lawrence of Arabia, and all that. But some dromedaries and crosses are shorter and stockier, and were better suited for rougher terrains. So many fascinating aspects to this story, where to begin! The camel deck regulations certainly caught my eye, and I’m wondering how they came up with the regimen with regard to caring for the animals. Also, am I right in understanding that THE Jefferson Davis dreamt up this venture, and, if so, as it was started for the US Army, what happened during the Civil War? I look forward to the next installment, needless to say! Clearly, the regimen was based in experience — not only that of the camel tenders who came along, but also that of men like Heap, who was experienced with camels. And, as they traveled through various countries collecting their camels, they spent a good bit of time consulting with local experts. By the time they were done, they were sharp enough to catch it when one of the rulers tried to pass off bad animals to them. They returned them, and demanded better! And yes, ma’am that was THE Jefferson Davis, who was United States Secretary of War before he switched sides and took on the presidency of the Confederacy. He wasn’t the only one involved with the project to throw in wiht the Confederacy, but there’s no question Davis’s decision helped to bring an end to his Great Experiment. Washington wasn’t too keen on keeping up funding for a project that had been so closely tied to him. The war itself had some consequences for the camels, too. More abou that next. You’ve brought to light a historical gold mine here. Brava, and I look forward to the next installment. Stories such as this are amazing to me. So much effort has been invested in ideas and eventually they fade away only to be memories. While not as fantastic an undertaking as bringing camels to Texas, I see so many cellar holes in the woods here, especially in the Quabbin Watershed area, where homes and communities have disappeared. The amount of work that is now being filled up with trees and shrubs in oddly large “flower pots” is astounding for the effort and sweat required. The woods are great places to find abandoned stone walls seemingly out of place. I can understand why someone would think of camels as excellent “mules” for the army and other undertakings. But I think animals are found in certain locations for a reason and, as we have seen with too many species, transferring them to where they ain’t is rarely a good idea. Here in Texas (and in other parts of the west and midwest, as well) we don’t have those cellar holes, but there’s another reminder of disappeared homes and farmsteads: the windbreak. I saw one just this week. There was no house in sight, and the road nearly had disappeared as it meandered off the highway, but there was no mistaking the double row of trees that once led to and sheltered generations. Sometimes, of course, more than a farmstead is involved. There was a good bit invested in the idea of America, too. Whether that idea will fade away to become on a memory remains an open question, I’d say. What tickles me most about the camels is that bringing them here was in a sense a homecoming for them. There were camels on this continent at one time — about 10,000 years ago. Of course, after they moved on (going both north and south), the environment here changed as much as they did, and 19th century Texas wasn’t native turf any more. Still, taking the long view of such things can be a worthwhile corrective to the view that our experience is the measure of all things. Linda, you outdid yourself once again. So many interesting facts. You are a wonderful historian and it clearly shows since this appears to be your forte. Sorry to be late in commenting but I’ve been out of snuff with my computer and I’ve been very busy with animals. I can not get into my email for the past 4f days. At any rate, loved reading this and I find the story of the camels so interesting. The guy in Valley Mills has managed to keep a smidgen of camel lore going with his small herd. Even though he gets to my town just about every Christmas, I have yet to go see the camels. They are true pack animals and so unique- one hump and the two hump species. I do enjoy history, Yvonne, especially the history of places I have a connection to: Texas, Louisiana, and the midwest. One of the things that makes it even more interesting to me today is the availability of so many primary sources: online and otherwise. I suppose they’ve always been there, and I just wasn’t aware. Why we never were exposed to the writings of the famous and quite ordinary people who made the history we studied in school, I don’t know. It’s one thing to read that camels were brought here in 1856, by this group of people. It’s quite another to read the shipboard logs. If I ever end up caring for a camel, I think I could do it with just that journal for a reference. I’ve been out of town for a couple of days, so I’m late in responding, too. I left the laptop at home, so while I stopped in at a local library once to check email, I decided to put off blog comments until I was home. I was reading a story about the Valley Mills fellow bringing his camels to Camp Verde for the 150th birthday of the store. He does camel expeditions into the Big Bend, too, but from what friends who’ve ridden camels tell me, I think I’ll pass on that one. Linda, somehow I’m not surprised that you’d pass up riding a camel on a trek. As far as I’m concerned, I’d pass on that one too. I feel there’d be no comparison when riding a camel as opposed to the relative comfort of a horses back. One more little detail I remember from my reading: the fellows responsible for bringing the camels here were smart enough to purchase the appropriate saddles and such from the same markets where they bought the camels, knowing they wouldn’t be able to outfit them properly in this country. They even bought their bells! Thanks for adding the info about the bells. That’s fascinating. I do not know camels well, but my sense is that “natural timidity” is not a likely description! It is interesting that some were so confident that they would out-nurture camel keepers from afar. Alas, our sense of self is too often inflated, but thank goodness the good Lord gave us camels et alia to bring us back to earth. I’m with you in doubting that “natural timidity.” I have a feeling “natural intransigence” might have done just as well as a way of describing the camels. On the other hand, I understand some of the confidence expressed by the men in charging of bringing the beasts here.It’s not like they didn’t do their homework. They even had some biologists engaged in helping to find the location that would best suit the camels. Actually, it sounds like our American camel keepers did just fine when it came to picking the animals and getting them here. Once they began the process of introducing the animals to some less-motivated soldiers, it was a different deal. Maybe handling the soldiers was as hard as handling the camels. It wouldn’t be the first time that the human factor helped derail a project. “Ships of the Desert” Interesting description. It sounds like it was an idea worth pursuing, something that might work. The care they gave the camels is admirable. Can you imagine the sheer effort required to transport animals that weighed 1,400 to 2,000 pounds? With their strength and their ability to endure hunger and thirst, I can see why camels would be a desireable addition to America. It’s too bad that the experiment didn’t endure. Here’s another little detail that amazed me, Bella. Once they had the first boatload of camels safely to Camp Verde, they had money left over from that $30K appropriation. I can’t remember — maybe I never read — whether they used the excess to bring over the second shipload of camels. Perhaps they rolled it over into the “care and feeding” budget. In any event, it was amazing that they could bring it off at that cost, even accounting for inflation. I was tickled to read that one of the first things they did was name the animals — thank goodness they used customary camel names and didn’t get cutesy. Can you imagine “Thomas Jefferson Camel”? Speaking of thirst, that business about camels storing water in their humps is a myth. They can go for such long periods without water because of the way their respiratory system is designed. I missed the details on that. My view of them certainly has changed, Anne. The army was impressed with their load-carrying ability, even though the horses and mules weren’t so impressed. But the real fun started once the great experiment was over. You might think that, once you get past circuses, there’s not a lot of call for camels. Au contraire! Transporting camels from one continent to another is a weird and wonderful idea. Whoever dreamt it up first deserves a medal for most outlandish endeavour ever. Actually, I feel quite sorry for the camels. The camels actually did quite well, as long as they were a part of the Army. Some of them did come to unhappy ends once the program ended, but most went on to other owners who were equally interested in caring for them: most of the animals seem to have moved from being used to prove a point, to being used to turn a profit. Well, except for the baby camel in San Antonio, that ended up being a bit of a neighborhood attraction and a favorite of the children. But, yes: it was a weird idea. It might have turned out far more wonderfully had not circumstances changed. It’s really a shame the Civil War interrupted the process. It would have been interesting to see if the objections of ranchers, soldiers, horses and mules ever would have been overcome. When I think of Texas, camels are not the things to pop into my mind-fascinating! My 4th GGrandfather brought Saxon Merino Rams with him from Germany and proceeded to settle on Seco Creek with his family. He’s mentioned in the book you referenced “Early Settlers and Indian Fighters of Southwest Texas.” H.J. Richarz. Texas has such a rich history. Courtney, I’m truly amazed. I read the chapter about your grandfather online, and realized that I’ve been in the cemetery in D’Hanis where he’s buried. And here’s an even better “it’s a small world” tidbit. I found that his wife’s cousins were Augustus and Caspar Real. I’m sure they were related somehow to Ella Real Fisher (of the Fisher Ranch), whom I also knew. The Julius Real Ranch was establshed in 1875, a few miles southwest of Kerrville. And of course the Schreiner name is familiar. I’m going to be visiting a friend in Kerrville in the coming weeks. She loves cemeteries, so I think we’ll probably take a drive. Thanks so much for commenting, and for telling me about your grandfather. It’s a wonderful story, and a great heritage for you. Oh, how interesting! I’ll definitely have to do some more digging-genealogy is my favorite hobby. And be careful at that cemetery, I read from another individual that it’s rattlesnake infested if you happen to get out and walk around. Boots are de rigueur! As is shaking them out before you put them on! Reading these posts in itself is unreal… mainly due to the incompatible idea of camels in our country, cognitive dissonance, if you will. This is my query, since this camel expedition (BTW, great title for your camel posts) is so thoroughly documented, why haven’t we heard anything about it in our everyday consciousness. Well, maybe it’s just me in a remote part of N. America (Camels were here too in Alberta as you said). Do schools teach a piece of this history? Maybe in Texas, but no, I haven’t heard of the camel ghosts anywhere except here on your blog. You must publish your posts other than just in the blogosphere, Linda. It’s an interesting question you ask, Arti. Many of these wonderful bits of history are being lost or neglected, for a variety of reasons. In no particular order: there’s the imposition of a “politically correct” agenda on some history curricula in the schools; many people believe if “it” happened before 1980 or so, it doesn’t count; and Texas is a big state, with a big history. It’s easy to focus on the Alamo, the Battle of San Jacinto, and Stephen F. Austin, and forget other, smaller (if equally interesting) chapters of history. But I’ve also found comments by Texas history teachers who say they didn’t know about the camels, either — and you can’t teach what you don’t know. On the other hand, there’s been some growing awareness. When the Texas Camel Corps was established in 1997, it began getting the word out. Look at the list of publications in the last paragraph of that article I linked: there have been plenty of feature articles, but I never saw a single one, despite reading a few of those publications regularly. And didn’t I laugh when I read about the “three Canadian adventurers who crossed the Arabian Desert after receiving camel-handling training from Texas Camel Corps”! Someone suggested to me that these Texas tales could be collected into a supplemental text for home-schoolers. That’s an interesting thought. I just don’t know. But the first step is to get all these blog entries out of the cloud, onto my hard drive, and backed up. That’s nearly done. One step at a time. I did wonder about the treatment of the camels. And it is interesting to think why there are no camels today used in work related efforts in the US. I suppose the horse is the better, more versatile animal. I wasn’t exactly surprised that the camels were treated well, since their well-being was critical to the success of the “experiment.” But I was a little surprised at the completeness of the logs, and the almost infinite amount of detail offered about the care, feeding, mating and birthing of them. I wonder if the fellows who took on the project ever considered the possibility that they’d be playing midwife to some camels in the midst of open ocean storms? My goodness. You’re on target with your thought about the versatility of the horse. The camels far outdid horses and mules when it came to carrying loads, but they didn’t do quite so well in rocky environments. And there was some inter-species hostility, as well. Apparently the camels could have cared, but the horses and mules didn’t want a thing to do with those lumpy beasts. This seems to ring true of so much valuable history for me. (Like my youth! Going into antique shops is simply catching a view of all the things on display that I grew up with.) Of course, we make room for the new, and that is often good. But, a big part of me can’t help but long for the dreams of the past. And not only the dreams of the past, Bellezza. The realities of the past deserve respect and attention, too. Some of those realities — stable families, willingness to work, a love of learning, appreciation for simple joys — still exist, but could stand a little nurturing. I believe I’ll begin nurturing this day with a pitcher of fresh lemonade. I don’t know much about camels, but reading Mr. Heap’s description of “docility and willing obedience” made me laugh out loud! I’m amazed at the amount of detail you were able to find about the care and transport of these experimental animals. I have a feeling that Mr. Heap was a combination of keen-eyed observer and marketing strategist. Clearly, he wanted his camels to be shown in the best light, so I suppose we can forgive him a little exaggeration. Besides, he accomplished his goal. Until the camels got here, who was going to be able to argue against him? Only people with their own experience of camels, and I think most of them were on the camels’ side. The documentation of the entire process, from first shopping trips to the closing of Camp Verde, was detailed in the extreme. What makes it even better is that Heap, Wayne, and others had that 19th century eye for detail, and language to convey it. It’s what makes reading the journals of naturalists and explorers to fascinating. Today it seems almost absurd that someone thought that camels could be valued so much in the States that they were imported from Tunisia. Once again you have gathered an interesting story – and as always it’s very well researched. As hard as it is for us to imagine now, there’s another factor that was involved. Apart from the military considerations, all of this took place in a time prior to the development of the railroads. Transportation in general was difficult across the desert southwest (and across the plains generally) and, given those realities, camels weren’t such an absurd possibility. It is a bit ironic that the camels were used in the very surveying expeditions that helped with the development of the railroads: which in turn helped put the camels out of business. Just wait until the ghost shows up in the final chapter! This is wonderful…and amazing. In all the stories I’ve heard and read about Texas, I’d never known about the camels. What a hoot! Although I suppose from a crossing desert standpoint, it must have seemed a reasonable idea. Great piece. Just the visual of camels trudging across the sagebrush of western Texas is too much fun. I’ll have to tell my history buff born in Texas sun about this. Depending on how much of a history buff you have on your hands, Janet, there’s even the possibility of taking a trip through Big Bend (and elsewhere) by camel. I have a link to Doug Baum’s Texas Camel Corps in the third installment, along with a photo of him taken with his camel-pal, Gobi. There’s lots of photos on his website, along with information. The more I think about it, the more tempted I am to at least meet the camels. I’ve known for years that “there were camels in Texas,” but that’s as far as I took it. I certainly never heard about it in school, and I heard it only in passing among “old-timers.” Once I started digging around, I couldn’t stop. Hence: you all got to read about it, too. As I read this, I couldn’t help but think three things — what would it be like to be on the ship with the camels; what an incredible researcher you are and how well you tell the story, and finally, did you know that camels are now considered responsible for the MERS epidemic (or maybe it’s not quite that yet) that is in the Middle East and currently in South Korea? I sure am glad they didn’t carry that back in “the day” when there weren’t the medications to treat it! I have pictures in my head of camels trudging across Texas. Honestly. You DO need to write the Texas book. I’m just sayin’… again! Jeanie, I thought about being on that camel ship, too. I do think I prefer reading detailed journals about the experience to actually taking part in it, though. The housekeeping details alone would present some challenges. It’s quite amazing to me how much research can be done online now. The number of old newspapers that have been scanned is growing apace. JSTOR has a wealth of available journal articles, and some of the sites, like the Portal to Texas History, are just fabulous. It’s true that some of the historical items I’d like to get my hands on are “library use only,” but in some cases even that’s possible, since there are so many good libraries relatively close by. I didn’t know about MERS. Now, I do. It’s interesting that it’s a “new” disease. I wonder if that’s true, or if it’s newly recognized. In any event, I can understand why you would be more aware of it than I have been. No respiratory illness should be allowed in your world! I’m so pleased that online and digital transition is occurring quickly. I don’t really do it often anymore and nothing so far back as what you do. It’s pretty amazing. And yes, I keep tabs on such things as MERS, even if they are half a world away! You tell the story in such an interesting way, and what I appreciate so much is how meticulously you document your sources! That way any reader who wants to could research further. Lately I have read some fashion history blogs that were written well, but heavily loaded with pictures they did not link back to the original site or even credit, so I doubly appreciate your careful crediting! Thanks so much. My new post, with the photo of your socks, is up now. I have a few readers who are interested in textiles, knitting, quilting, and such, so I hope they’ll stop by for a visit. I do try to be meticulous with sourcing and crediting. I do it first of all because that’s the way it ought to be done. A side benefit is that it provides a record for me, in case I want to go back and double check something, or follow a new lead. I didn’t mention in my comment on your blog how much I enjoyed “TextileRanger.” It really is perfect. Here’s a photo of a Texas Ranger grave marker from the cemetery in Concan. I can see this as a quilt block or a redesigned avatar without even trying. A marvellous piece of historical writing – and research. Thanks so much, Andy. I had a lot of fun with it — and with the next, final installment, that has a few more “local color” stories in it. I know how busy you are right now, so I appreciate you stopping by. I’m glad you enjoyed it. It was a good thing those camels were (at least relatively) comfortable in their kneeling positions. It made their travel far easier. And, just so you have something to pass on at the next cocktail party, I read that their droppings are about the size of charcoal briquets. Those, at least, were easily flipped overboard. The things we learn! Isn’t it wonderful? You’ll love Gobi.